You are here: Home / Baking / Win 1 of 2 Gluten Mix Collections from Make It Gluten Free this Easter! 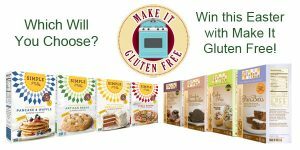 Win 1 of 2 Gluten Mix Collections from Make It Gluten Free this Easter! Win 1 of 2 gluten free mix collections this Easter with Make It Gluten Free! You can choose any 4 mixes from either the Simple Mills range or the 1-2-3 Gluten Free range. 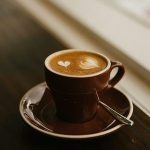 To make your choice, visit www.makeitglutenfree.co.uk and check out the great selection of mixes available. To enter, simply comment below with your choice of range, Simply Mills or 1-2-3 Gluten Free. The winners will get to choose FOUR mixes from their preferred range. The closing date for entry is Thursday 24th March 2016. You can also enter on our Facebook page or Twitter #makeitglutenfree. Don’t forget to follow @makeitglutnfree on Twitter too. Full terms are available at http://gfr.ee/wintcs. Congrulations to Mary Ford and Adele Aldridge, winners of the Make It Gluten Free Competition!